Best high quality premium powerpoint presentation templates for business or personal use. These templates can be used for corporate, business, marketing, education and training, technology, finance, etc. Paradox Line is a Multipurpose Business Powerpoint Presentation Template. Features are Master Slide Layout (Drag & Drop Image), Full HD, Bright and Dark Version, Free font, Slide Animations, Device Mock-ups, 100 unique slides, Edit Charts in Exel and more. Miro is a Creative and Ultimate PowerPoint Template. Easy to change colors, modify shapes, texts, charts. Features are Full Animation, Handmade Infographic, 3 Device Mouck-up, Data charts (Editable via Excel), Numeric List, Price Table, Many layouts options and more. Bromo is a Multipurpose Powerpoint Template has 40 files (PPT and PPTX) & 150 Unique Slides each file of content & 10 Color Schemes in Clean & Dark Background Version also 30 Premade Colors. A Multipurpose PowerPoint Template for all kinds of business or personal use.Present your Ideas and concepts in a highly creative and professional way to your clients or customers and even in your schools. Features are Custom animation for each object, Easy Editable chart, Handcrafted Infographics, Easily Editable, All Graphic Resizable and Editable and more. Business Forecast Presentation Template is a professional, multipurpose & creative template. Its best use for business, corporate, personal and multipurpose also.All element easy to edit. Features are PPTx format, Easily Editable slides, 85 unique Slides, 5 Pre-Defined color scheme, 16 Infographic Slides, Icon used from font Awesome and much more. Telelista – PowerPoint Template. It utilizes design with modern functionality, Strategy ideal for any type of business. This slide comes with infographic elements, charts, graphs and icons. 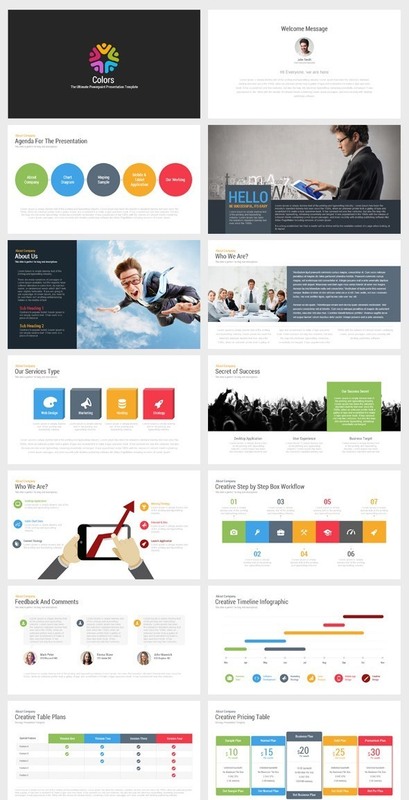 This presentation template is so adaptable that it can be used in many different businesses. A PowerPoint Presentation Template, Flexible, clean, creative, simple, unique, scalable and multipurpose PowerPoint Template. All element easy to edit and you can easily change the color to match it with your personal or company brand, Save your time with 20 Premade colors Themes which you just can with One Click change the colors of all shapes, Icons, fonts and auto recolored. This presentation is the result of severals days of hard work and sleepless nights, but I’m proud to present to you this great, multipurpose, modern, clean, very easy to use and professional Powerpoint Presentation Template perfect for your business. This presentation template is so versatile that it can be used in many different businesses. This powerpoint can be used for real estate market review, new business funding request, product review, marketing and promotions post launch review, market research, course work, teaching, social media impact studies, education and training. Windwalk is an Unique Creative Powerpoint Presentation Template, available with .ppt and .pptx format. suitable for Sports, Creative people, Product, Company, and other related, Windwalk has 10 diferent color. Super PowerPoint Presentation Template is Flexible, clean, creative, simple, unique, scalable and multipurpose PowerPoint Template. Fashion powerpoint is perfect for your impressive fashion & style businesses presentations. All elements are easily editable and customizable to your needs. Features are Fully Editable, +80 Uniqe Slide, +1000 Slides Total, Vector Icons & Maps World Included In Files, ppt and pptx, Charts are editable in Excell, Image placeholder and more. A Professional, Clean and Creative Powerpoint Template to show your business to your customers. Features are 28 PPTX Files (for Office 2007 or higher), 28 PPT Files (for Office 97 and 2003), 14 Different Color Schemes, Total +5000 Slides, Animated & Non-Animated Versions, Designed based on Master Slide, Fully Animated and more.